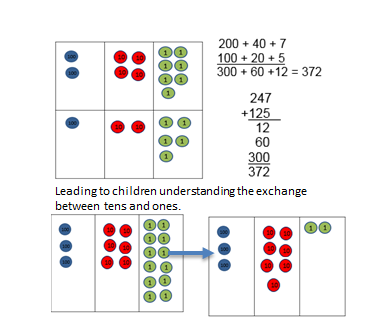 The most important aspect of addition that children need to understand is that sometimes addition can be done mentally and sometimes this isn't possible so you need to use a formal jotting to help organise their thinking. Which of these number sentences might you do mentally and which would you need a written method for? The link below will take you to the Maths curriculum page on the website for you to download the Calculation policy to find out more about how we teach the formal method of addition.